The sharp, curved apex, or highest point of the coronoid process attaches to the coronoid fossa of the humerus. Injuries to the coronoid process may lead to pain when talking or chewing. 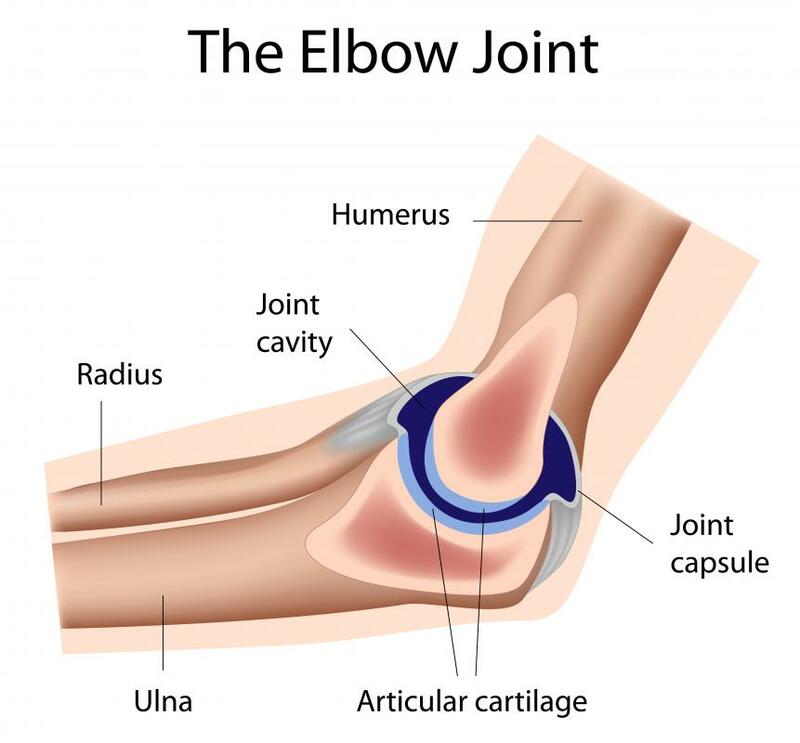 The elbow joint. The coronoid process of the ulna is the projection at the top of the bone, where it meets the joint. The coronoid process is a term given to two different structures found within the human body. The first is found on the jawbone, also referred to as the mandible. 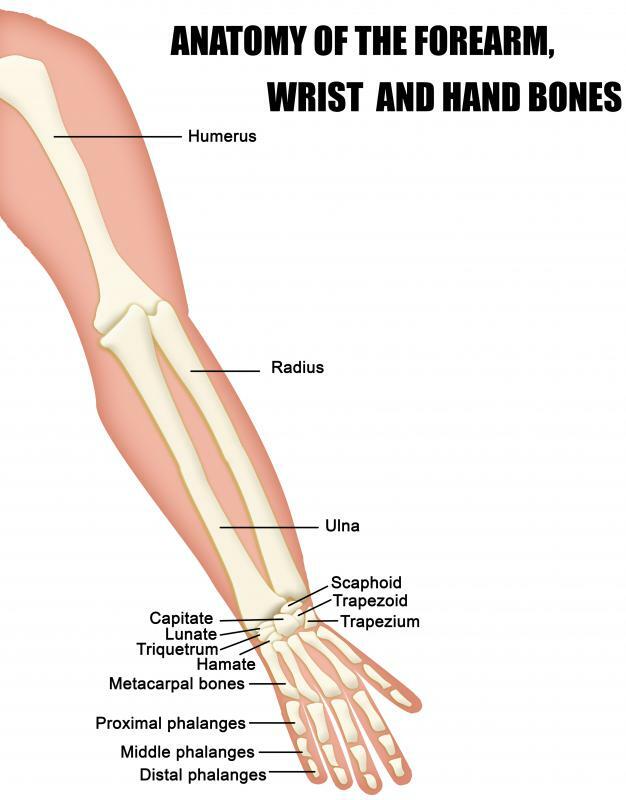 The other coronoid process is located on the ulna, a long bone found in the forearm. In each location, this process has a bit of a triangular appearance, although the exact shape and size varies. The coronoid process of the mandible has a top border which is convex in shape. This means that it curves in an outward direction. This top border lies next to the top portion of the ramus, which is the horseshoe-shaped part of the lower jaw. The lower border of the coronoid process is concave in nature, meaning that it curves in an inward direction. This portion lies near the structure known as the mandibular arch. The lateral portion of the coronoid process has a smooth surface and is inserted into the masseter and temporalis. These are muscles that aid in the process of chewing and swallowing. The medial, or middle, part of the coronoid process also attaches to the temporalis muscle and ends just beside the last molar. The coronoid process of the ulna projects from the front part of the ulna, one of the major bones in the arm. The sharp, curved apex, or highest point of the structure, attaches to the coronoid fossa of the humerus. This attachment occurs when the forearm is in a flexed position. The top surface of this process is concave. It helps to form part of the structure known as the semilunar notch. This notch is basically a large depression found on the ulna. This semilunar notch, also called the trochlear notch, helps to move the humerus, another long bone found in the arm. The lateral surface of the coronoid process forms a depression known as the radial arch. This arch is also referred to as the lesser sigmoid cavity. This depression is concave and attaches to the annular ligament, a strong bundle of ligaments surrounding the bone in the arm known as the radius. The ligament known as the ulnar collateral ligament connects to the coronoid process of the ulna on its medial surface. This is where the flexor digitorum superficialis muscle originates. This muscle has two heads and is responsible for helping to flex the fingers. It also works along with other muscles to assist in the flexion of the wrist. What Is the Mandibular Fossa? What Is a Coronoid Fracture? What Is the Coronoid Fossa? What Is the Mandibular Ramus? What is a Pronator Teres? @Charred - All parents are somewhat overprotective, so I wouldn’t feel too bad. The last thing I would need to hear is the sound of crushing bones myself, whether in me or in someone else. I would hasten to point out however that you don’t have to get involved in rough sports to suffer elbow dislocation. You can suffer from nursemaid’s elbow, which true to its name, can happen among babysitters. If a babysitter extends her harm to yank a cantankerous child, she can suffer dislocation in her elbow as well. Surely no one would think babysitting could be a dangerous job. Alas, life itself is fraught with dangers. Just be careful in everything you do, and you should come out okay. The forearm can be very fragile. It’s one reason I’m not a big fan of letting my kids participate in sports like football or wrestling, especially. One hard fall and my little boy could suffer elbow dislocation. I’ve heard that this kind of condition is especially painful, and it can be especially difficult to recover from. I guess I’m a little overprotective as a parent but I don’t want any of my kids to suffer any broken bones if they can help it. One of my kids plays tennis, and he has to stretch his forearm and bend his elbow a lot. It doesn’t cause dislocation, but he has had his share of tennis elbow and a little wrist pain. So I tend to be sensitive to these things.